Regular bathing is a must. Pre-posted, in case of continued technical difficulty. Don't worry if I'm unable to approve your comments. I'll get to them when possible! If this paragraph remains at the top of the post, please return for a full review, next week -- Wednesday, September 1 (my birthday -- no, no need to lavish me with gifts). I am experiencing technical difficulty and posting this portion in advance, just in case. At this point, I'm about 35 pages into The Boy Who Harnessed the Wind and enjoying it. American readers will have their imaginations challenged by 14-year-old Kamkwamba's description of life in Malawi, a famine-stricken, land-locked nation in southern Africa: math is taught in school with the aid of bottle tops ("three Coca-Cola plus ten Carlsberg equal thirteen"), people are slaughtered by enemy warriors "disguised... as green grass" and a ferocious black rhino; and everyday trading is "replaced by the business of survival" after famine hits the country. After starving for five months on his family's small farm, the corn harvest slowly brings Kamkwamba back to life. Witnessing his family's struggle, Kamkwamba's supercharged curiosity leads him to pursue the improbable dream of using "electric wind"(they have no word for windmills) to harness energy for the farm. Kamkwamba's efforts were of course derided; salvaging a motley collection of materials, from his father's broken bike to his mother's clothes line, he was often greeted to the tune of "Ah, look, the madman has come with his garbage." This exquisite tale strips life down to its barest essentials, and once there finds reason for hopes and dreams, and is especially resonant for Americans given the economy and increasingly heated debates over health care and energy policy. The Boy Who Harnessed the Wind begins with stories about the author, Kamkwamba's, early creative experiences, making trucks from available boxes with bottle caps for wheels and other toys via the creative use of spare parts. He tells stories of what life was like growing up in Malawi and the beliefs of many of the locals in magic versus his own father's trust in God. I'm still knee-deep in background material, so all I can tell you is that the writing is clear and at this point is providing a fascinating glimpse into another culture and lifestyle. I'm particularly fond of the legends he's sharing. I love reading legends. If I'm unable to fix this post, I'll also be unable to approve comments. Please be patient with me! I shall return. My thanks to TLC Books for the review copy of The Boy Who Harnessed the Wind and apologies for the posting delay. I know I've been very, very bad about blogging. So, I figured maybe a little bit of brief summarizing about the things I've read would be nice. I think I'll just move on to the books I finish during the time I'm adjusting to empty nest life, when I get back to regular posting. These mini reviews are just meant to tide you over, you know, if you're hanging around missing me. Stash by David Klein - The story of a young mother, Gwen, who smokes a little marijuana in the park to relax. A friend is supposed to pick up her children, but when their arrangement falls through and Gwen is in a fatal automobile accident she must decide whether to turn her former lover and supplier over to the police or face potential jail time. Paired with a story about legal drugs used unethically, this is an interesting and thought-provoking story. There were some little things about this book that really, really bothered me. I found myself wishing I had a group to chat with about the book, actually. I highly recommend this one for book groups because I think it could easily generate some intense discussion. And, just think how fun it would be to paint marijuana leaves on your cookies. No, you may not lace the brownies with pot. That's not legal. Benny & Shrimp by Katarina Mazetti - Two grieving people meet in the cemetery. They are polar opposites in many ways but they fall passionately in love. Can they work out their differences or will they end up having to make do with decent matchmates lacking the passion (and conflict) of their wacky relationship? A really quirky little romance. My utterly delightful friend Care sent me her copy of Benny & Shrimp because she thought I would like it. As always, Care was correct. 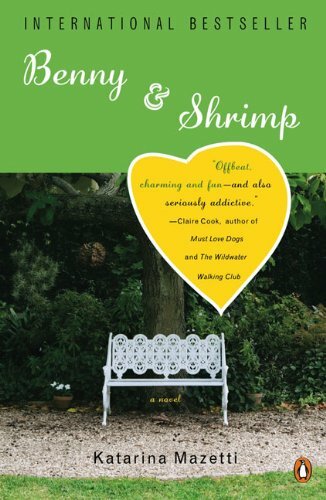 It's a strange little story, almost an anti-romance, and I liked the fact that Benny and Shrimp turned out to be not quite the characters I expected and much less willing to adapt to each other than the typical romantic hero and heroine. Moose Dropping & Other Crimes Against Nature by Tom Brennan - A collection of tales and folklore, mostly gleaned from other works, all of which provide tickling insight into the Alaskan sense of humor. Published by Epicenter Press, one of my favorite small presses. At least, I think they're still small. They've had a number of runaway hits, but they're still all about Alaska. I snickered my way through this book and learned a few things in the process. Like "eco-greenies" is one of the nicer terms Alaskans use to describe environmentalists who try to get in the way of their ability to earn a healthy income from land and sea. Emma and the Vampires by Jane Austen and Wayne Josephson - Some people call this kind of book a "mash-up" (a very overused and lazy term, in my humble opinion), some call it the destruction of a classic. My friend Melissa calls this type of book "classic/paranormal combos" and I'm leaning toward "classic with a paranormal twist." Whatever floats your boat. In this case, Emma Woodhouse is surrounded by vampires. Many of the gentlemen, including Mr. Knightley, are vegan vampires. Wives meet an unfortunate fate - bitten and turned. There are also wild vampires who prey on the local populace. It's a bit of a mess, that combination of wild and gentlemanly vampires, but I loved reading Emma and the Vampires because Mr. Josephson used the paranormal twist in a humorous way. A fun read and a great excuse to revisit Emma, my new favorite Austen character. 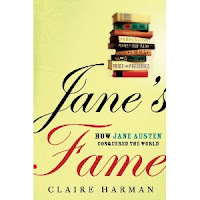 This book was #2 completed for the Everything Austen II Challenge. The Extraordinary Secrets of April, May and June by Robin Benway - Another paranormal book, this time a young adult novel about three sisters who develop unusual powers. April sees scenes from the future, May can become invisible and June reads minds. Apart from the fact that I thought the author did a poor job of explaining how or why the three girls came to suddenly redevelop their powers after a single childhood incident and it took time for the story to develop, I enjoyed this book. Once the story picks up speed and suspense, it's interesting and fun and I loved the ending. It's as much about sisters as it is about unusual abilities and learning to cope with them . . . and about coping with life, in general. Very light reading. Take Good Care of the Garden and the Dogs by Heather Lende - Heather Lende's second memoir about her life in small-town Alaska, its joys and hardships, with particular focus on Lende's horrific bike accident and her recovery, her faith and friendships and the lives and deaths of those around her. Heather Lende has a charming writing style, much like that of Anne Lamott. She's an emotional writer who will tug your heartstrings. I loved this book almost as much as her first, If You Lived Here, I'd Know Your Name, and hope she'll write many more books about life in Alaska. Of particular interest was her story about a recovered alcoholic's totem pole. I literally sobbed through that one, but most of the time I found that when I set the book down I was smiling. That's all the recently-finished books in my sidebar, so I'm going to clear the sidebar before I dash off to do my thing. Kiddo is home for the weekend -- wahoo! He's been asleep all day -- boo! Well, it's better than nothing. I like having him nearby. Happy weekend from Fiona and family! 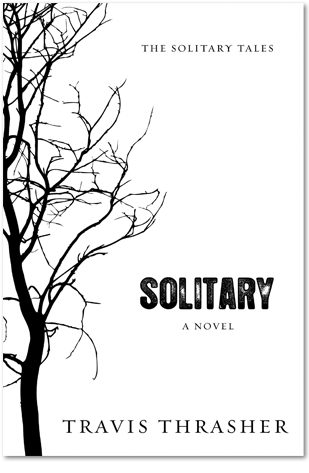 Note from Bookfool: I screwed up and neglected to write down the tour date for Solitary in my calendar, which helped nudge my airheaded self into confusing it with another book that was not a FirstWild tour book. My apologies to the author and publisher. It is actually next in line on my stacks but I haven't begun to read the book, yet. I have flipped through it and read bits; that's what got the book moved to the top of the stack next to my bed. I'm really looking forward to reading this book soon and will review it when I finish! There is absolutely nothing wrong with Jane's Fame. Don't let the fact that I've set it aside twice fool you. The first time, I simply had too many books going at once. The second time was one of those phases when non-fiction was just not grabbing me, although even then I enjoyed what I read. In fact, I totally dumped everything I was reading and started over on a new batch, at some point. So, Jane's Fame was simply a victim of an attention-deficit summer. I will definitely continue to read Jane's Fame, when I get over my summer slump . . . which seems to be lingering. 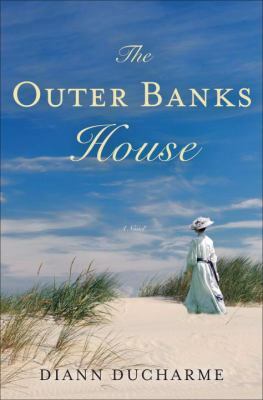 I got an ARC of The Outer Banks House from Shelf Awareness, based on the description and that gorgeous cover. I'll admit, the cover really grabbed me. 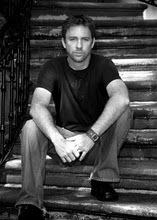 Read this excellent review at Fiction Addiction for a full description of the story. To be honest, there's little that I remember apart from how I felt as I read. My general feeling, as I was reading the book, was that the story was too contrived. It didn't work for me; it didn't flow and the book never succeeded in capturing my interest. After two attempts, the book went into a roving book box being passed around by friends and I will not give this book another try. Beneath the Thirteen Moons by Kathryne Kennedy - An ARC from Sourcebooks to be released in December, 2010. I really like the cover at left, but that's a cover from a previous edition. The new Sourcebooks cover has a slightly mystical look at the bottom and a man with his shirt open on top. Have I ever told you what I think of bare-chested-man covers? About the same thing I think of scantily-dressed female covers. I think they're self-limiting, meaning some people will look at them and assume "romance" then refuse to touch them. Romance is actually the top-selling genre, so it's probably a good move for Sourcebooks to go with the bare-chested look, but it's one I tend to dislike. Fantasy is not as big a seller, but I do love a beautiful fantasy-related cover and that's why I thought I'd share the old cover. Part of the cover description: She's an outcast, but at least she has her independence . . . Mahri Zin would stop at nothing to save her village, and when they needed a healer she didn't think twice about kidnapping one. But when she realizes that the healer she so impulsively stole is none other than the crown prince of the Sea Forest, Mahri knows that she has a chance to change the fate of her people. 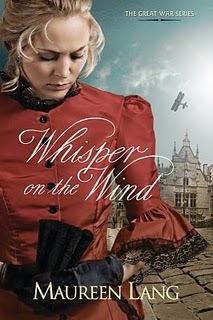 Whisper on the Wind follows the story of Isabelle Lassone, a Belgian-American socialite whose parents whisked her away to safety at the start of the war. Yet at great personal risk, Isa sneaks back into the country to rescue those dearest to her, Edward and his mother. But Edward refuses to go, and soon Isa is drawn into his secret life working on the newspaper -- and into his heart. Again, that's just a portion of the publisher's blurb. I requested Whisper on the Wind for a blog tour because I read Lang's My Sister Dilly in 2008 and thought Maureen Lang's writing was excellent. I've kept her name in the back of my head but hadn't managed to acquire any more of her books, so I jumped at the chance to review another. My Sister Dilly was contemporary, so it will be fun to see how the author handles historical fiction. Gosh, there's not much of that to be had. It is still way too quiet, around here. I'm trying to motivate myself to clean like crazy but it might take me some time to get into a new routine that doesn't revolve around Kiddo. The best news is that I hear from him regularly. Although he plans to come home on weekends, he's already reconsidering because he doesn't yet have a roommate and that means his dorm is a quiet place where he can study and get plenty of sleep -- better sleep than he's ever managed with an insomniac mother padding around at all hours. He's happy, so far, and that's nice to know. In case you missed my last post, I'm giving myself 2-4 weeks to catch up, get used to the empty house and ponder what to do with myself. I have a lot of reviews to catch up on and I've found that I write best in spurts, so don't be surprised if one day I write three reviews and then you hear nothing for a week or two. Be patient with me. I've been a stay-at-home wife and mom for over 25 years. This empty nest business is a bit of a shock! 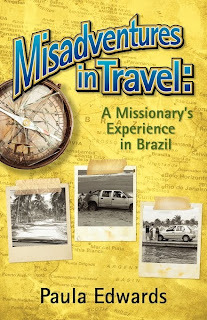 Misadventures in Travel is about a couple who chose to travel to Brazil to do a job that primarily involved driving around the coastal areas to look for fishing villages that other missionaries might find good locations for evangelism (teaching the people about God, in this case the Baptist doctrine) with occasional stops to chat with people about Christianity. I've found it a fairly slow read, but part of that had to do with the fact that there's no map in the book and the Edwards' did a great deal of traveling but almost none of the city names were familiar. Eventually, I decided to look up Brazil (which is huge) on GoogleEarth. I printed out the relevant section for reference. If anyone wants me to review a World Atlas, just let me know. I really could have used one. Scouting out fishing villages along Brazil's coast had to be a monstrous job, driving often on muddy or dramatically pot-holed roads and catching rides on ferries, some large and tidy, some that looked like they weren't necessarily up to the job. 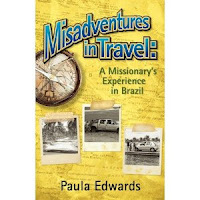 What I liked about this book: There are some excellent anecdotes, especially about the kindness of strangers as Paula and her husband, Van, often had to deal with the difficulty of finding a place to sleep at night in a country where the choice was usually a pousada -- apparently, a small, family-run place that was not clearly advertised -- in the small towns or a hotel in more populous areas. Sometimes, they simply couldn't find a place to stay as night was falling and they had to decide whether or not to take a chance on finding another town. They experienced numerous car breakdowns, which often resulted in friendships with the people who helped them find tow trucks, dealerships, places to eat and sleep. 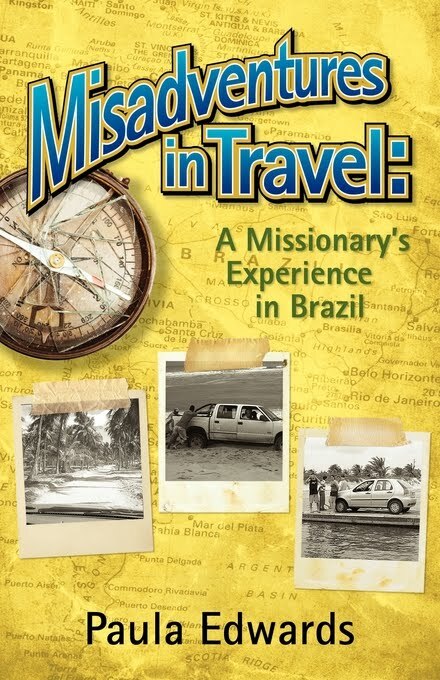 What I disliked about this book: It's shy on detailed information and there is no map of Brazil to clarify where the couple traveled, hence the GoogleEarth print-out. The back cover blurb explains their job better than the text inside but I still feel as if I don't quite get the purpose. I think the deal was that they were supposed to find places for Baptist missionaries to go evangelize, but they were particularly seeking fishing villages. I never understood why they were specifically targeting fishing villages, nor did I get why they got so excited every time they saw a Baptist church. My assumption was that they were simply looking to fill in the gaps and when they saw a church it meant, "Nothing needs to be done, here." Porto de Galinhas means Port of Chickens. During the 18th century, when the traffic of slaves was forbidden, "chicken" was the code used to refer to the slaves. "There are new chickens in town" was the way to say that a ship loaded with slaves had arrived. Who I think would like this book: Christians, particularly of the Baptist faith, who are curious what it's like to do this particular job and/or adjust to life in a foreign country, and people who enjoy memoirs. But, be aware that there's a lot of everyday life and the anedotes are really few and far between . It could have been a much better book with some added depth of detail. It's official: Kiddo has left me with an empty nest. Technically, I'll be a weekend nester because he's planning to come home on weekends, but it feels like an empty nest -- especially when Miss Fiona goes off to hide for her Serious Napping Time and the house becomes ridiculously quiet. This next few weeks is going to be an adjustment time for me, so if I disappear for a few days or a week or two, don't worry. It just means I'm trying to figure out what to do with myself and that might involve stepping away from the computer for a while. I will still at least show up to post scheduled reviews. 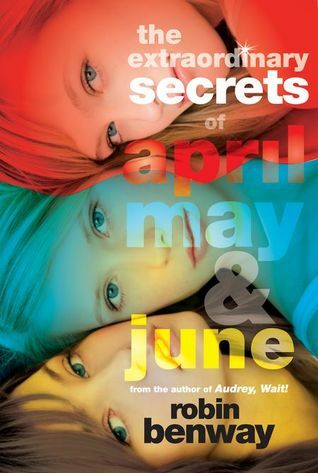 Just (also) finished: The Extraordinary Secrets of April, May and June by Robin Benway, a slightly-paranormal YA. Will review that as soon as possible. There are some books that have been waiting for review for several weeks, but I'm not sure what order they'll end up getting reviewed. If there's a particular book I've recently read and for which you've been waiting for a review, just let me know. I'll try to push it forward a little bit. Off to clean my nest! 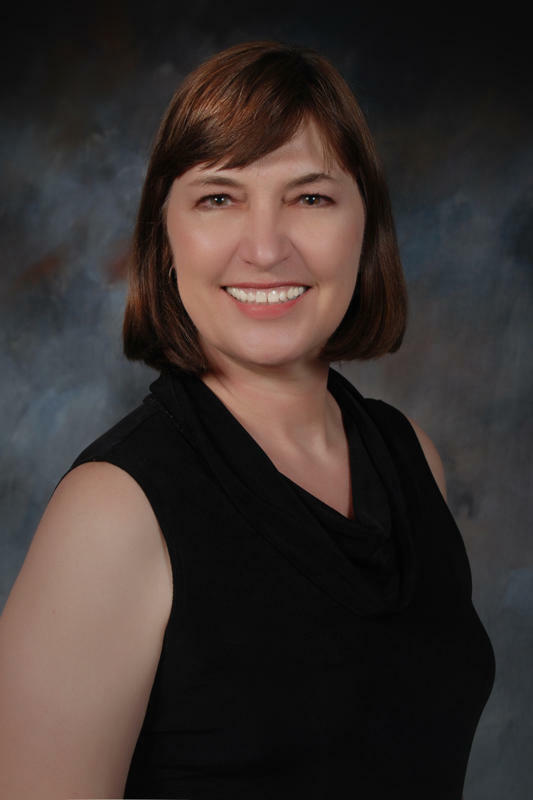 Paula Edwards, a native of the piney hills of north Louisiana, received her bachelor's and master's degrees in music from Louisiana Tech University. Besides having served God on the mission field, Paula also has been a schoolteacher and enjoys riding and training horses. She and her husband, Van, are parents of two grown daughters. The Edwardses live in North Louisiana, in which Van serves as pastor. At the time Van was the pastor of a small Baptist church in North Central Arkansas. We had been at this church for about three years. In some ways our time there had been good, but we also had experienced many challenges. Recently we had talked about believing that our usefulness at this church had reached an end and that God seemed to be calling us elsewhere. The way God speaks to His children is amazing. We both heard Him; we both heard the same thing—which brings me back to Van’s announcement. Van can be maddeningly persistent in making me drag everything out of him without offering any unnecessary information that I don’t specifically ask for. My heart went thump-thump. I figured he could hear it, but I wasn’t ready to reveal the excitement those simple words caused in me. “I’m going to Brazil,” I stated bluntly. I really believed this was going to happen, but at the same time I couldn’t imagine going back overseas. I have two grown daughters whom I love fiercely; at the time I had two small grandchildren. How could I leave them for two years? How could I miss out on everything that would be going on? On the other hand, I knew God was speaking to me. If you have ever been in that position, then you understand that when He calls you to a job, you never will be happy doing anything else. If you never have been in that position, you won’t understand the way I was feeling at that moment. Believe me, the call is unmistakable. For two weeks I wrestled with the idea, even though I knew what the final decision would be. I knew I would go to Brazil, but convincing myself actually to admit it out loud in words was difficult. Finally one Sunday after church Van and I went out to eat. Van had mentioned the job in Brazil a couple of times, but he hadn’t pressed the issue. He was absolutely ready to go. Now. This minute. But, you see, when a couple accepts a call to missions, it has to be a joint acceptance. If both parties aren’t completely on board with the idea, then some sort of compromise has to be reached. This decision is best not forced on anyone. So Van hadn’t pressed, but I knew exactly where he stood. The time had arrived for me to let him in on the fact that I was right there beside him. For a long time we sat in the restaurant and talked. I cried. I was so torn. I knew what God wanted me to do. And I wanted to do it, too, but I still had that nagging desire to stay near my family. After spending the biggest part of a year serving in Guatemala in a previous short-term missions assignment, I knew how difficult the separation would be. Ultimately, though, I knew I couldn’t put my family and my desires ahead of God’s will for my life. So we left the restaurant knowing we would pursue employment with the International Mission Board. Another thing we had to do was to go to Richmond, VA, for training. While there we talked to our advisor. We learned that we could go to Brazil either for two years or three years. We chose to extend our term to three years. In the back of our minds we were thinking we eventually would spend even more time than that in Brazil. We also learned about the requirements to get a visa to Brazil. This sounded as though it was a very straightforward procedure, but from conversations with missionary colleagues in Brazil we knew that getting a visa for that country would be tougher than for Guatemala. The process turned out to be much tougher. Van, the planner and detail person in our unit, began gathering all the things we would need such as his diploma from seminary, his ordination certificate, and birth certificates and our marriage license. Once he was satisfied everything was ready, he sent it to the mission office in Richmond. The mission office promptly wrote back and said the birth certificates and marriage license we had submitted would not be acceptable at the Brazilian consulate. We needed certified copies of our birth certificates and our marriage license. Both of these things had burned in a house fire. So, even though we had the certified copies we had gotten for Guatemala, we would have to get new ones for Brazil from the agencies in the states in which they had been issued: Louisiana and New Mexico. When we checked online about having them sent to us, we discovered that just going to get them would be about as inexpensive and much quicker, but that required a road trip to those two states. We combined business with pleasure by visiting with family in Louisiana and then made the long trek to New Mexico to get my birth certificate. At last we believed we had everything we needed. All that remained was to go to the consulate in Houston and present everything to Brazilian officials there. Two days were necessary to get in to see the consul. When we finally sat down with him, he sat on one side of the glass and we sat on the other as he flipped through the huge pile of documents in front of him. He arrived at my birth certificate—the one we had traveled all the way to New Mexico to get. “I don’t need this,” he sneered as he tossed it back to us through the slot at the bottom of the window. “No, we never ask for that. It is not in our policy,” he asserted. “But . . .,” Van began; then, thinking better of the matter, he let it drop. The consul entered. We sat together on a love seat; he took a chair near us. Although his attitude seemed a little lighter than it had the day before, he still was a pretty sour person. He began to speak, but we were surprised that he didn’t talk about us; he talked about his job and what a thankless position he held. He complained about his co-workers and his work environment. He was a miserable little man. I felt sorry for him. Then he shifted the subject to our visas. That was more like it. I was squirming in my seat. On January 21, 2007, we boarded the plane for Brazil. It was a trip into the unknown—the first of many adventures . . . although the word misadventures ultimately would describe much of what lay before us. It's apparently "Play Hard and Crash" week for Fiona. She's either been at full speed or flat on the floor -- both of which are totally cute. I'm so happy to be back with my kitty girl. Another late review. I believe I read Emma in June. Never fear, Emma has totally stuck with me like that gunky stuff used to paste credit cards to card stock. Emma Woodhouse is of marriageable age, living with her hypochondriac father at their lovely estate, where they regularly entertain. She's perfectly content with her life, as is, and does not intend to marry. However, her former companion has recently wed and Emma needs a new friend. Convinced that she is responsible for the successful matchmaking that led to Mrs. Weston's joyous marriage, Emma befriends young Harriet and sets her sights on pairing Harriet with Mr. Elton, the local vicar. Meanwhile, Mrs. Weston's son-in-law, Frank Churchill keeps everyone on tenterhooks as the entire village awaits his much-anticipated visit. Frank was adopted by a wealthy couple when the first Mrs. Weston died and hasn't been seen by villagers for many years. When Frank finally arrives, Emma thinks he might possibly be the man for her. Mr. Knightley is another regular visitor, a gentleman farmer whose estate is not far from Emma's home and a member of Emma's social circle, the brother to Emma's sister Isabella's husband. Isabella and her husband live in London and don't show up often, but there's always a great deal of joy when they do. At one point, Mr. Knightley made this reader cringe a tiny bit by commenting that Emma looked "well" holding Isabella's baby and recalled holding her when she was the same age. I got over it, though. Mr. Knightley and Emma have an interesting relationship. He likes to point out her flaws and she teases him in return. He is much more intuitive about matchmaking than Emma and tries to stop her from causing trouble but it's only later that Emma realizes he was right all along about pretty much everything. There's much more to the story, of course -- always plenty of coupling, dancing, celebration, socializing and a few little shocking surprises. The key question is, of course, will Emma mistakenly end up with Frank or realize Mr. Knightley is the man for her? How many times can Emma screw with poor Harriet's mind before Harriet figures out she must go with her heart? And, how on earth can Emma ever marry if it means leaving her stressed-out father on his own? Well, everything. You know I'm an Austen fan. But, Emma is definitely special. 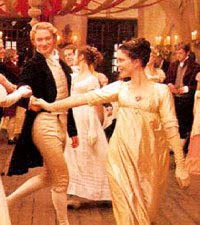 Emma Woodhouse has just recently become my new favorite Austen character. She is guileless, cheerful and optimistic, means well (even if she does end up causing a bit of heartache) and is truly distraught when she realizes she's caused anyone pain. Emma is an extremely lovable character. Only one thing . . . it had a slow start. But, I've found that's not unusual with Austen. I had a little trouble warming up to Anne and getting into her story when I read Persuasion. I'd already planned to watch the A & E version of Emma (a TV movie released in 1996), starring Kate Beckinsale, when I signed up for the Everything Austen II challenge. I ended up watching part of it on a plane and finishing up at home. Or, maybe it was the other way around. Anyway, I thought A & E's adaptation was fabulous, if a bit "Emma in hyperdrive" because there really is a great deal to the story, with its large cast and all the little twists. To compress that story into a mere two hours is quite a feat. The crucial parts of Emma are all there and I thought the movie was beautifully scripted, the settings were lovely and fitting and the actors almost perfectly cast. I can't say the actress who played Harriet fit my mental image, but everyone else at least came close. Since I own a copy of the A & E Emma, I'll undoubtedly watch it many, many more times. For a more detailed review of the movie, check out this post at Ribbons of Light. 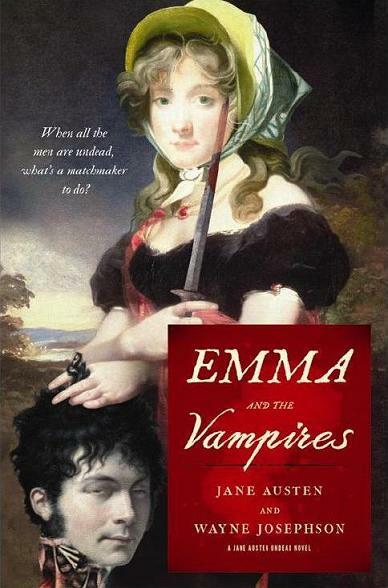 I'm currently reading Emma and the Vampires, which is credited to both Jane Austen and Wayne Josephson. It's another one of those crazy mixes of classic and paranormal, in which pretty much half of the Highbury residents are vampires. Some are vegan and some are not, which is a bit confusing because it means there are gentlemen and lady vampires who wouldn't think to chomp down on an innocent neck, yet there's a whole other set preying on young women. I opted to read this book because I've been hoping I'd find a nice tongue-in-cheek Austen parody that would provide a few laughs. Mr. Darcy, Vampyre was a total let-down because the author took her subject seriously rather than simply using Austen's Pride & Prejudice as a framework and playing with it in a fun way. Josephson has his writing flaws, but I'm finding Emma and the Vampires fits my expectations. It's frequently funny and much of the original story is left intact; it's simply altered to fit a silly vampire theme. Fun. It will be interesting to see how the story plays out. I'm not far (about 60 pages in), but I am truly enjoying Emma and the Vampires. The A & E version of Emma is my first completed item for the Everything Austen II challenge. A Curable Romantic by Joseph Skibell - an unexpected surprise from Algonquin Books. At 593 pages, I'm vaguely intimidated. And, yet, having read the promotional material, I'm also intrigued. It sounds like a good, meaty story. Hennie Comfort has lived in Middle Swan, Colorado, since the death of her first husband sent her in search of a new life. Now eighty-six and on the verge of having to leave her beloved home at her daughter's insistance, Hennie befriends 17-year-old Nit Spindle and is drawn to her by their mutual grief -- Hennie's, far in the past and Nit's more recent loss. As the two women endure the harsh life of Colorado in the 1930's, their friendship grows and they share secrets they thought they would never let go, helping each other in unexpected ways. 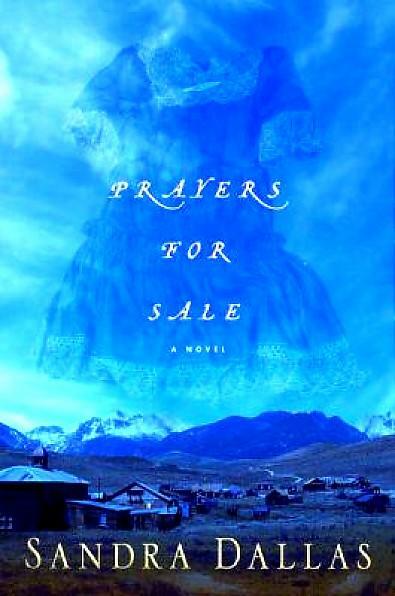 It's been several weeks since I read Prayers for Sale, my third read by Sandra Dallas. I can't say the details have stuck with me, but the general feeling remains. Hennie is a storyteller and a quilter and Nit is young and willing to both listen and take advice. Both are hard-working and come from similar backgrounds. Both have endured heartbreaking loss. Hennie slowly shares her story as they take turns visiting, quilting together and sharing food and conversation. It's always surprising when a book that is essentially a quietly paced story is a page turner, but Sandra Dallas has a knack for making the pages fly and tossing in little surprises -- sometimes shocking, sometimes anticipated and satisfying -- that make her books eminently readable, the kind you want to shove into a friend's hands. What I liked about this book: Everything. I like the pacing, the characters, the storyline, the surprises, the friendship, the writing style. There was nothing I recall disliking at all. 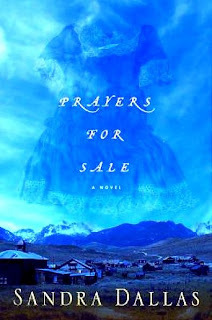 Prayers for Sale is sweet and rugged, full of hardship and grief and deep love, grueling hard work and gentle friendship. I like imagining myself in the place of such incredibly challenged characters, wondering whether I would survive and thrive or go to pieces. Highly recommended to readers who enjoy historical fiction and stories of friendship between women. Update: After I wrote this review, I remembered the one thing about this book that really drove me nuts and that's the name "Nit". What a horrible name choice! No matter how hard I tried, I could never stop thinking of lice when I read that name. 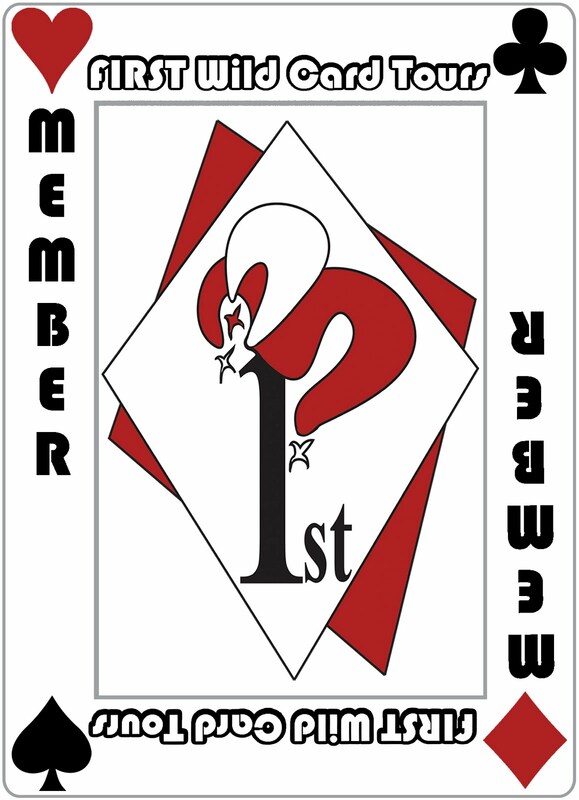 Posts will continue to be short and sporadic, but I'm going to go ahead and try to dash out a review or two, whenever I have a few free moments, along with updates on arrivals and finished books. Happy Reading! Well, hello there! How are you doing? I've decided to go on part-time blogging status (Fiona is just going to be a full-time handful). That means I'll be here when I can, although not back to regular posting for a while. Blog hopping will not resume for a few weeks. I'm not even certain how many books I've abandoned for lack of concentration or still need to review, but I'll gather them together and write a list as I'm packing Kiddo for college, purging and all that. His bedroom is scary. Teenagers. I will be an empty nester within a week!! Like, freak me out, dude. Well, besides all the tidying to pack up the Kiddo, we did kind of zip up to Alaska for a week of vacation. This particular trip was Kiddo's graduation gift. There was literally nothing else he wanted, so we offered him a vacation and he chose to return to Alaska -- which is, at this point, apparently his favorite place on the planet because it's cold! The Moose Droppings book was probably a big hint as to where we've been. I bought that at Sam's in Anchorage. There's a bookmark view, for you -- a pic I took on the Seward Highway. It was one of the few times the sun came out on our trip, but the temperature stayed in the 50's to 60's, most of the time we were in Alaska. We cooled off nicely and we're very happy about that. A little rain didn't ruin the trip. Or, actually, a lot of rain if we must be honest. Let us pause for a moment of Simon Van Booy fan joy. Thank you Simon and HarperCollins!!! Oh boy, do I have some fun reading ahead of me. We'll see if there's more to come. I also have to go fetch the mail. How are you doing? Read anything brilliant, lately? Bookfool, on her 4th load of laundry and occasionally stopping to reassure the furball that I'm still here . . . it's okay . . . she can stop tearing the house apart (please, please).